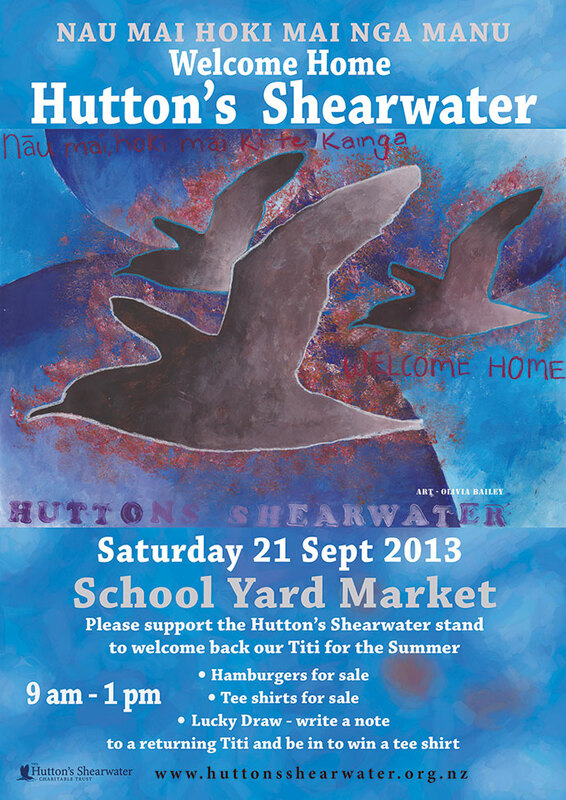 Bird of the Year 2013 – Vote for Hutton’s shearwater! It’s Forest & Bird’s annual Bird Of The Year competition again! Head over to the Bird of the Year website and vote for our special seabird, the endangered Hutton’s shearwater. 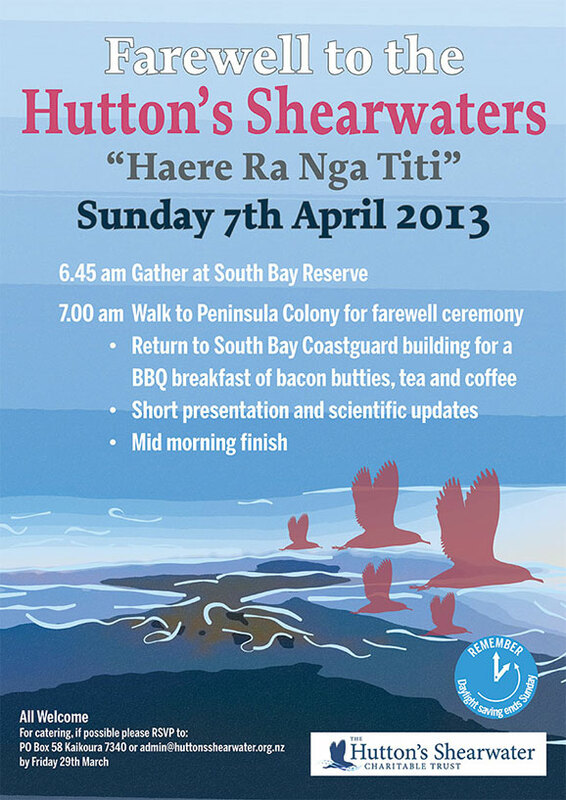 Welcome Home Hutton’s shearwater/Kaikoura titi! Our Hutton’s are coming home for the summer (from their over wintering in Australian coastal waters) for their 2013 breeding season. Saturday 21 September 2013, 9am – 1pm, Kaikoura Primary School, The Esplanade. Come and join in the festivities; there will be something for everyone, young and old. We look forward to seeing you there! Join us for a sensational autumn morning at the Kaikoura Peninsula colony to farewell the Hutton’s shearwaters as they depart for the winter. Walk to Kaikoura Peninsula colony for the Farewell ceremony. Return to South Bay Coastguard building for a BBQ breakfast of bacon butties, tea and coffee. Short presentation and scientific updates. Join us Saturday 22nd Sept 2012 for the Hutton’s Welcome Home family street party.